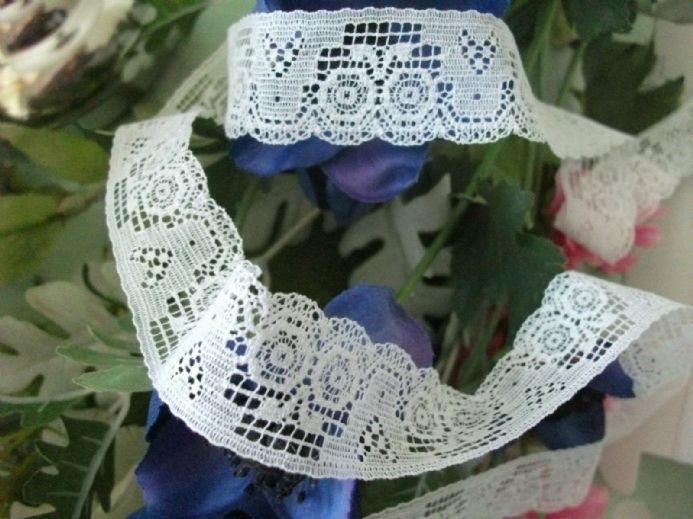 Made with very good quality fine cotton in White, this delicate little white lace is just 1 inch (2.5cm) wide with a very pretty design. 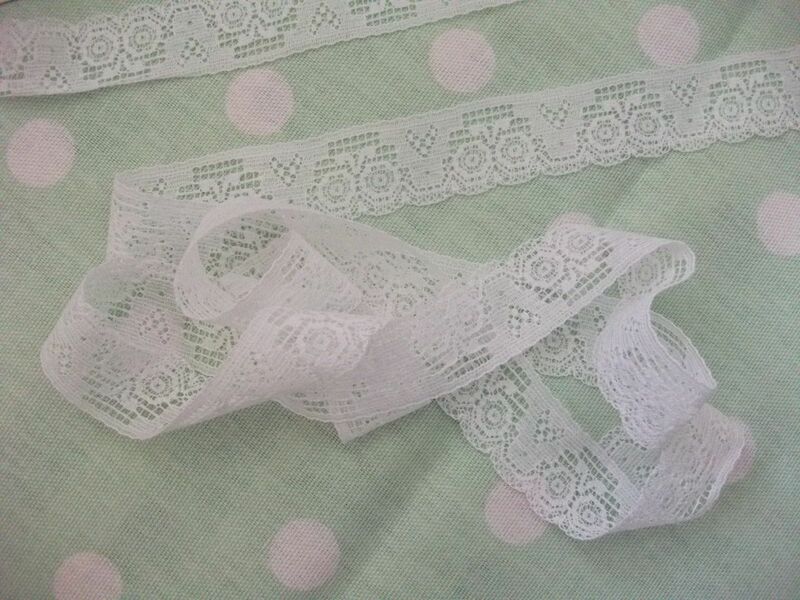 The lace has one scalloped edge at the bottom. 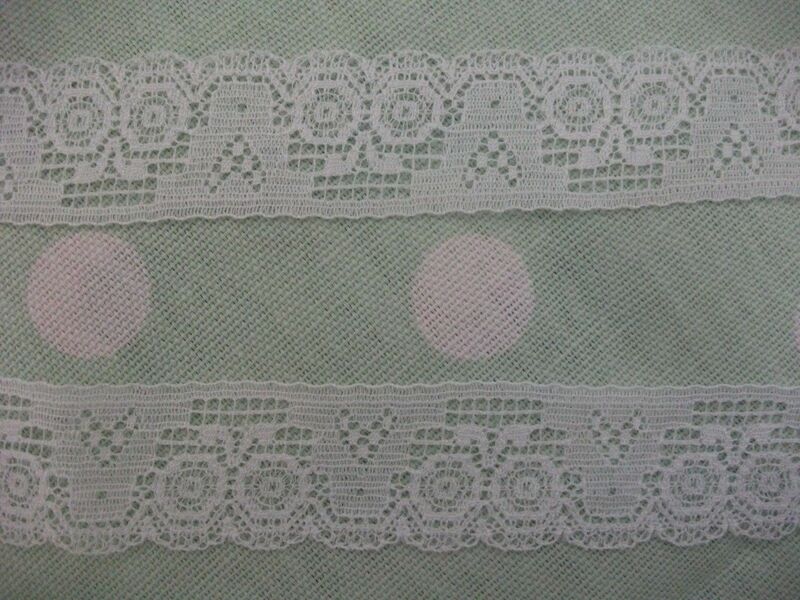 The pattern incorporates tiny circles together with "V" shapes which look like butterflies when viewed closely. 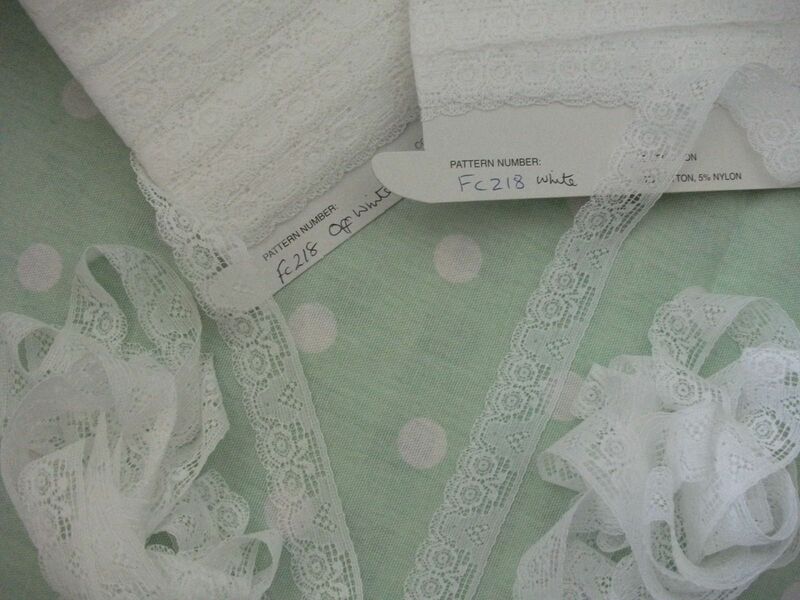 Also available in Off White in separate listings. 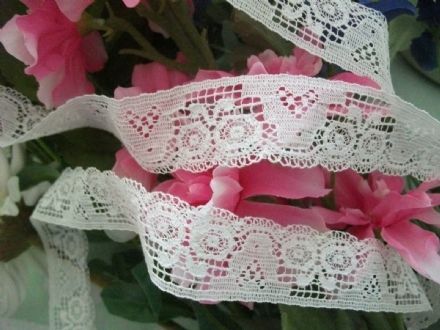 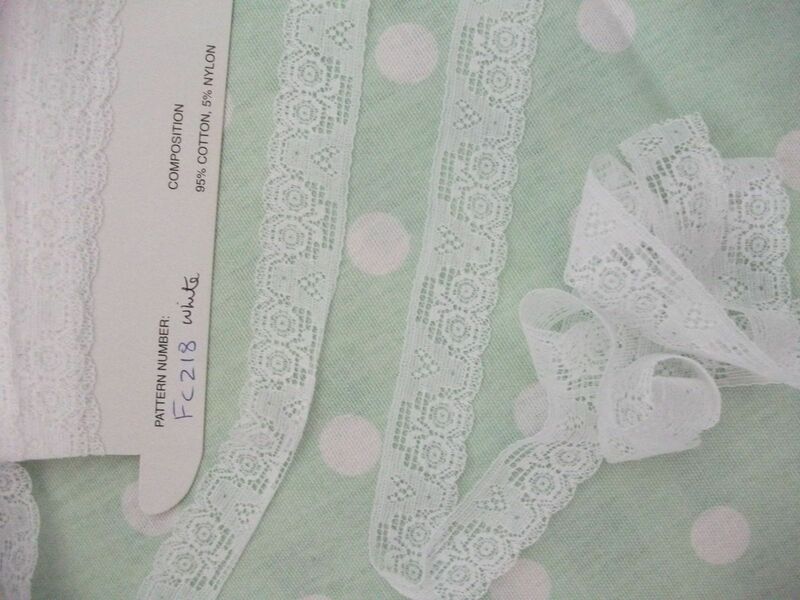 This lace is also used as a trim on ladies and girls clothing in the world of fashion - on t shirts, blouses, shirts, and also as a edging on lingerie, stockings and suspenders.